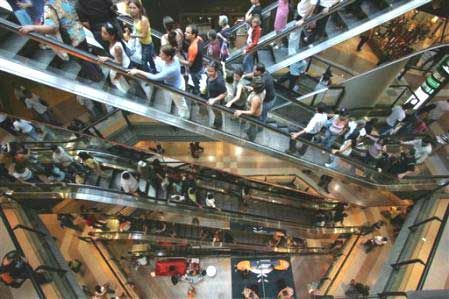 The Chilean retail market is considered to be sophisticated and is tailored to all the different levels of society. It connects seamlessly to the increasing young urban population and the rising purchasing power of the middle class, good for 10% extra growth in 2011. There is a small luxury goods market for Chile’s upper class; a wealth of shopping malls and department stores catering for Chile’s middle class; and traditional street markets appealing to the tighter budget of the lower classes. Chile has achieved a third place in the list after a convincing recovery of the 2009 recession. The results are so positive, that the country today is considered one of the most promising and competitive countries for retailers. The study shows that the market is highly concentrated, with five leading chains that dominate 60% of sales: among other Cencosud, Wal-Mart and Ripley. The first two are leading in the supermarket industry, making up around 65% of the market. In 2009 about 43,8% of supermarket sales were concentrated in the Metropolitan Region of Chile (6 million inhabitants over 16,9 million Chileans in total). Another popular segment of the retail market is the department store that embodies the Chilean preference for the “one-stop shop” concept offering a wide range of products, including clothing, electronics, furnishing etcetera. 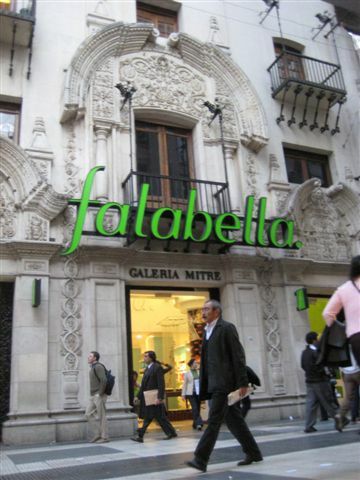 The main players are Falabella, Almacenes Paris (part of the Cencosud group), Ripley and La Polar, even though the latter has lately been in financial trouble. There has also been a strong growth of shopping malls. Today there are around 45 major shopping malls in Chile, with a number of new malls under construction. These developments have led to a gradual saturation of the retail market and a movement of Chilean companies abroad. Cencosud has a strong presence in the region. 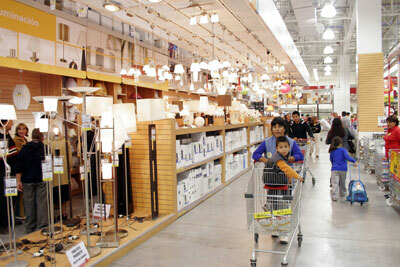 The company is operating a multi-format business with department stores, home improvement stores and supermarkets. Cencosud is the second largest supermarket operator in both Chile and Argentina (with its Jumbo chain), the largest operator in Peru and has an important presence in the North East of Brazil. Cencosud already acquired the Brazilian supermarket chain Bretas and aims to compete with larger Brazilian companies, like Pão de Açúcar (leader in the Brazilian market) and French Carrefour. Its investment budget in Latin America for 2011 is USD 1 billion. It spent about USD 800 million in Brazil alone last year. One can conclude that retail is booming and opportunities are rising, also for European companies. The Free Trade Agreement that entered into force in February 2003 has led to a significant increase in trade in goods and services between the EU and Chile. European imports have more than doubled since 2003. In 2009 the EU exports of goods to Chile contained € 4,5 billion and the total EU imports of goods from Chile were € 7,4 billion. Chile’s free trade network provides access to almost 1,2 billion consumers worldwide and has made Chile an attractive export platform for all kinds of products. Like the confectionery sector: In 2013, this sector is forecast to have a value of USD 612 million, an increase of 13,5% since 2008 (volume 82 million kg/ increase of 8,3% since 2008). Another popular market is the Chilean beer market. This market reached to a value of USD 1 billion (volume 587,9 million litres in 2008) and is expected to grow to USD 1,2 billion in 2013. The Chilean skincare market reached a value of USD 157,4 million in 2008 and is forecast to have a value of USD 197,3 million in 2013 (increase of 25,3% since 2008). But there are many other opportunities, for example for companies active in alcoholic drinks, soft drinks, frozen foods, savoury snacks, personal hygiene, bath & shower products, apparel and household items.